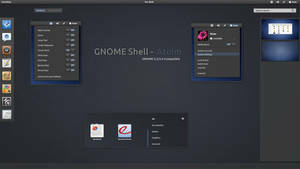 This is just an improved version of the default GNOME 3 theme called Adwaita. Reduced the overuse of padding in combo boxes and the primary toolbar(breadcrumb Nautilus bar). Blended the sidebar colour into the background colour. 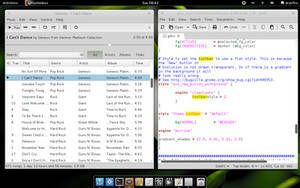 Extract the theme to ~/.themes(make one if you don't have it) which will override your root version in /usr/share/themes. 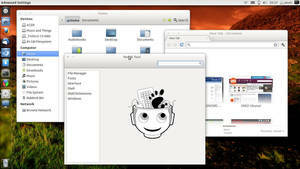 Restart with Alt, F2, r.
Only use this with GNOME 3.0, since some of the changes went upstream to GNOME 3.0.x. 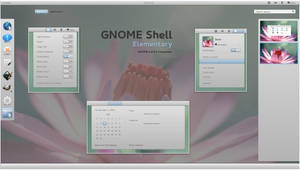 Is this supports Gnome 3.4? The improvements are in 3.4 now, this was just for 3.0. Subtle, but effective. Nice work. Only if you make it the same colour as the background I think. Oh and p.s. 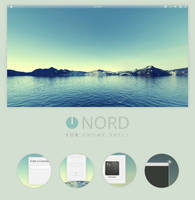 : which widget assets need to be modded to get rid of the window borders ? well this guy claims he got rid of it by calling it's width and height as GtkWindow-resize-grip and setting it to 0. 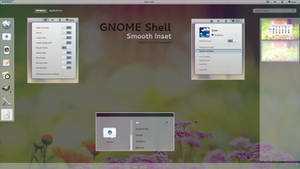 Doesn't work with GNOME 3.2 Any fixes? Doesn't need to because some of the stuff went upstream anyway. How do I get rid of it showing 2 docks. I don't like the one that is always visible. Thanks and great theme. You cannot. 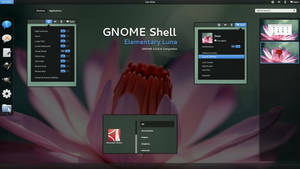 You ,ight want to look at extentions for GNOME Shell then. Nice work! However, I have a problem with this: namely, in Fedora 14, it's telling me that I don't have the Metacity theme for Adwaita installed despite the fact that it's clearly included. Anything I can do about this? 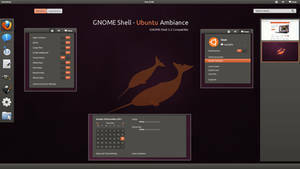 Shouldn't be, unless you're using an old version of GNOME Shell. That's probably the case, F14 only has one of the 2.9x versions... guess I'll have to wait for F15 to officially release to see the full benefit. Still, all the buttons and whatever show up in the window border (albeit with these weird circles in the top corners), I think the theme manager just doesn't play nice with GTK3 themes. 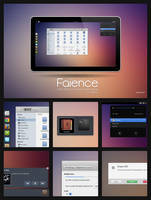 Well, you only have 4 days to wait till Fedora 15 final releases. True, though even then I'd have to wait for my internet to get set back up (it's been out for a few days, leeching the neighbor's signal isn't really fun...), so I guess I'll have to wait a bit beyond four days... I just hope nothing serious breaks in the upgrade. It's working now. Don't know what I was doing wrong. It's a huge improvement, thanks ^^. thanks I apply this to my desktop. e.g. use the same color of an active window. 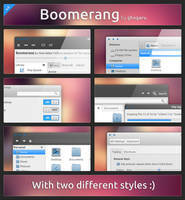 Today a Fedora update of Adwaita fixed the padding of the official theme! Great! 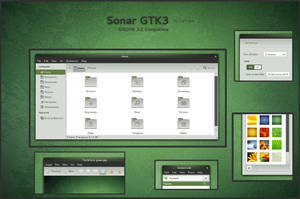 Just downloaded this and, wow, is it ever different from gtk2. You'll pick up CSS in no time, it's really easy but gradients are still GTK syntax. Okay, well, I didn't really use gradients anyway, but good to know. 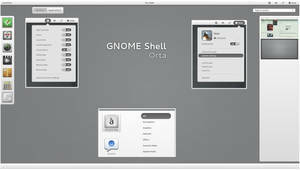 So does Fedora 15 come with the latest gnome 3? 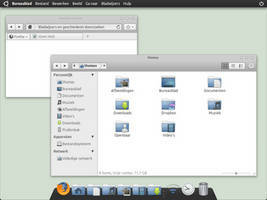 Yes, Fedora 15 beta comes with GNOME3/Shell as default. 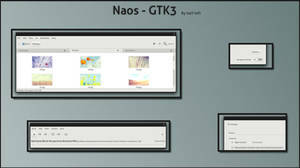 I don't know much about GTK themes so I couldn't tell you since a lot use different engines. Oh, and Fedora comes with a live CD, but an install DVD? 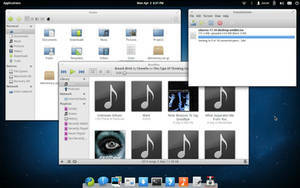 Fedora always comes with a DVD as primary install and a live CD or "spins" for the different desktops. The DVD has more software one it. Okay, well I still think you should be able to install off of the CD. I've reduced the padding on the title bar now. cool thanks. 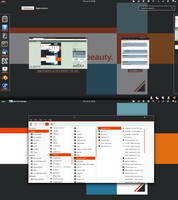 the new scrollbar width takes a bit to get used to on touchpads.. maybe a tad wider might make sense, but i'm not sure. i do like how it's out of the way now. You can do it yourself if you like. 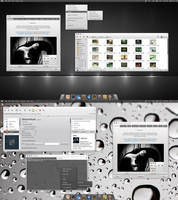 Open the gtk-widgets.css and search for "-GtkRange-slider-width:" and set it to something like 16. That's under " * Scrollbars *"
Not sure, I've not looked into that. 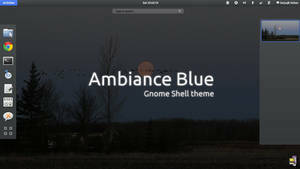 There's too much padding in original GNOME 3.0 theme. Good work!